You understand the name of the Parisian Cercle Interallié when you know its full name: Cercle de l’Union Interalliée, founded in 1917 when the USA entered into World War I. The founders of the Cercle Interallié wanted to establish a place where moral and material resources would be provided to the officers and personalities of the allied nations. Thanks to the support received from public personalities, they founded the Cercle in an amazing building of the right bank of Paris, the Perrinet de Jars townhouse, built in 1714. Royal and political figures were among its members. Today, it’s a social private club, deliciously decadent and old fashioned. 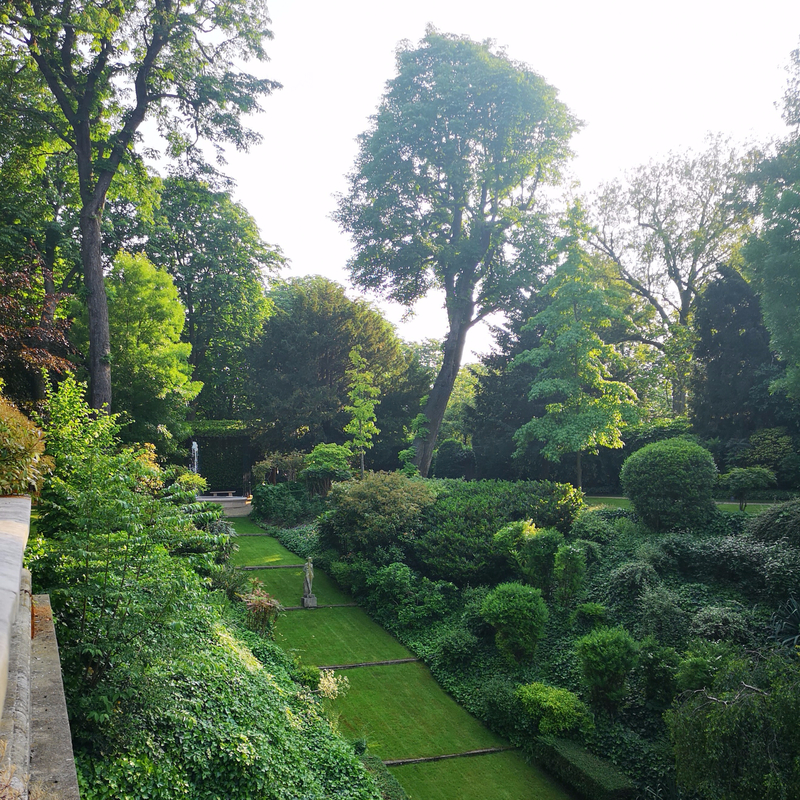 The gardens offer an unexpected oasis in the middle of the city, and it’s really easy to forget that the Cercle is located in the center of Paris.